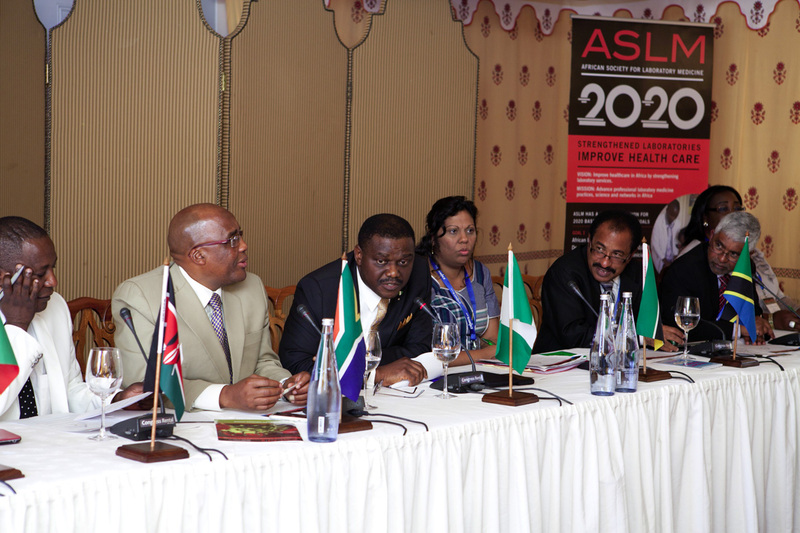 In December 2012, at the inaugural international conference of ASLM in Cape Town, South Africa, ASLM achieved an important step on the path to accomplishing the ASLM2020 Strategic Vision goals. ASLM uniquely brought together African Ministers of Health to debate the challenges to laboratory workforce, regulation of diagnostics products and policies to govern accreditation. Together, the Ministers released an unprecedented Call for Action. This landmark Ministerial Call for Action reinforced an irrefutable commitment from multiple governments to enhance laboratory medicine throughout the continent. While pledging government support for ASLM and the ASLM2020 Strategic Vision, the consensus Call for Action document outlines tangible steps that can be taken to improve laboratory systems on every level. ASLM continues to build upon this extraordinary government commitment and encourages other Ministers to adopt and implement the strategies of the Call for Action.